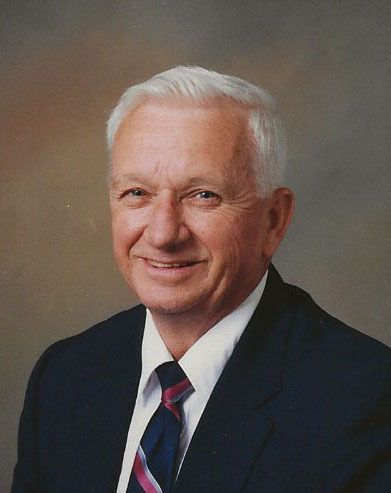 Don Dickinson, 83, of Mt. Pleasant, IA, passed away on Wednesday, November 28, 2018, at the Henry County Health Center. Family will meet with friends Saturday, December 1, 2018, from 9:30 a.m. until the time of the service at 10:30 a.m. at Olson~Powell Memorial Chapel with Pastor Mike Johnson officiating. Burial will follow at McDowell Cemetery. Gifts of love and friendship may be given for Church of the Open Bible or Samaritan’s Purse. On line condolences may be directed to www.olsonpowell.com. Born October 20, 1935, in Fairfield, IA, Donald Ray was the son of Delmer and Fern (Avery) Dickinson. Don was a graduate of Fairfield High School. On June 1, 1956, in Lockridge, IA, he married Harriett A. Lawson. When first married, Don farmed in the Packwood area. He later drove truck for Walnut Grove Feed and Rath Packing. Don then became a general operator at Goodyear Tire and Rubber Company from which he retired after 21 years. Faith and his family were Don’s two passions. A leader and active member of Church of the Open Bible, Don relished working with youth programs, Samaritan’s Purse, and mission trips for disaster relief. He coached his sons little league baseball teams and was an avid Iowa Hawkeye and Chicago Cubs fan. He enjoyed fishing and spending time with family. Don is loved by his wife, Harriett; one daughter, Debbie Fisher of Mt. Pleasant, IA; two sons, Randy (Deanna) Dickinson of Bowling Green, OH and Terry (Sue Mason) Dickinson of Omaha, NE; seven grandchildren, Chris, Lyric, Lincoln, Austin, Derek, Brianna, and Brittany; and five great-grandchildren. Along with his parents, Don was preceded in death by a daughter, Connie Cornelius.